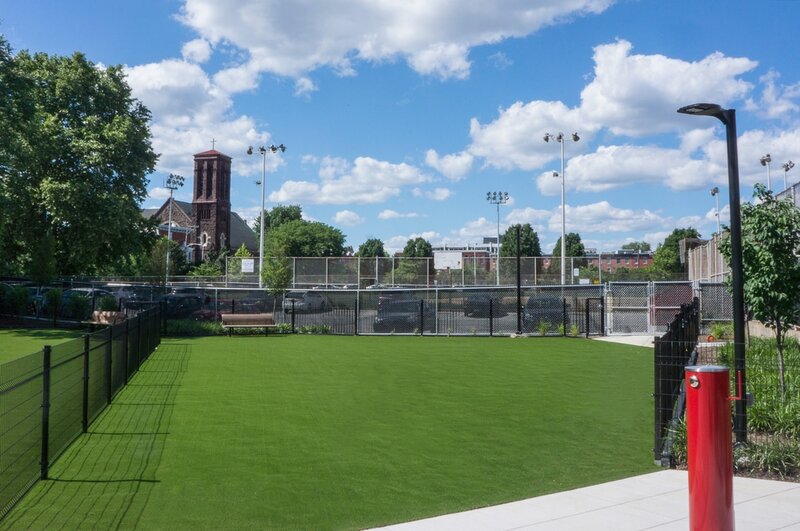 Green Street Dog Park is located in the heart of the Spring Garden community on a quarter-acre fenced-in property at 1819 Green Street. 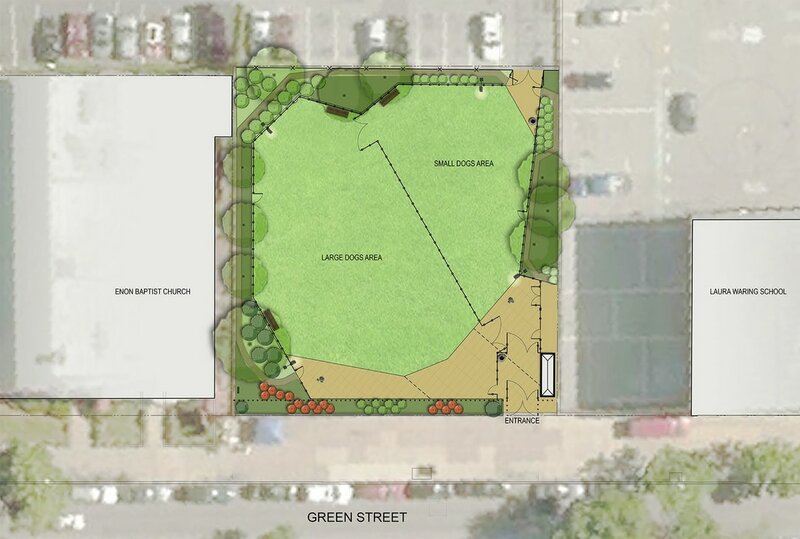 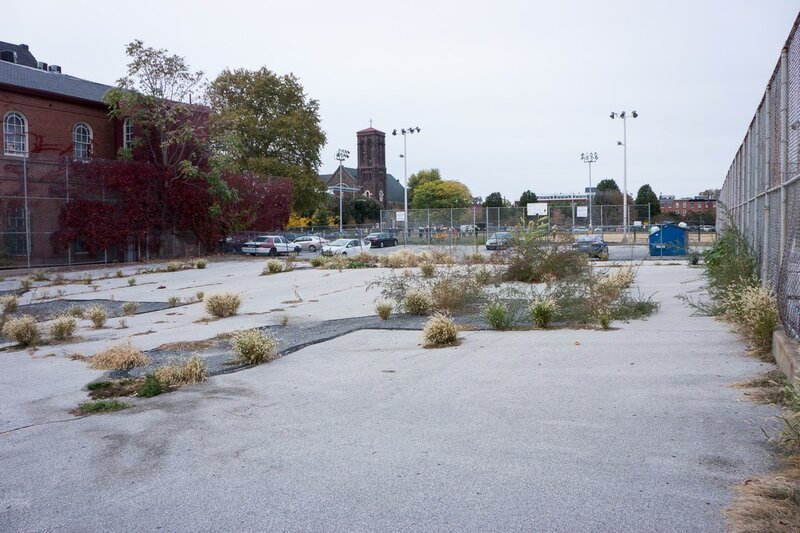 The property was acquired and developed as a Dog Park and Green Space by the Spring Garden CDC, and is managed by the CDC and a 7-member committee of local residents. 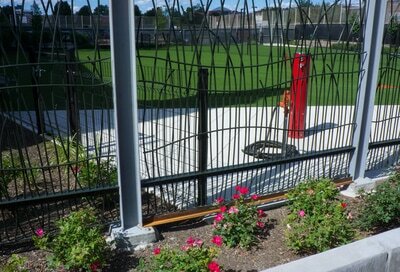 The Park features an attractive wrought iron fence and brushed-concrete entryway, and is separated into areas for large dogs and small dogs. 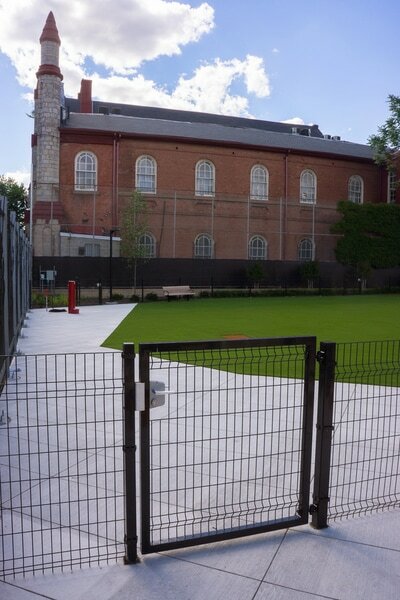 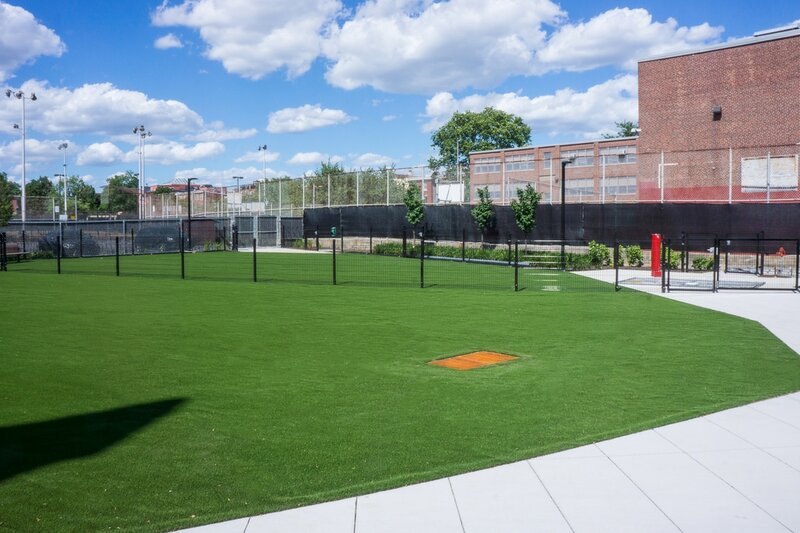 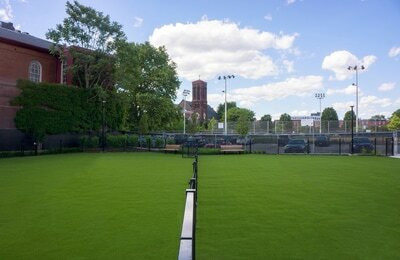 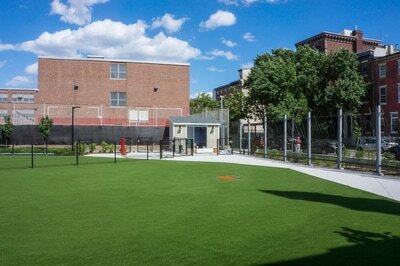 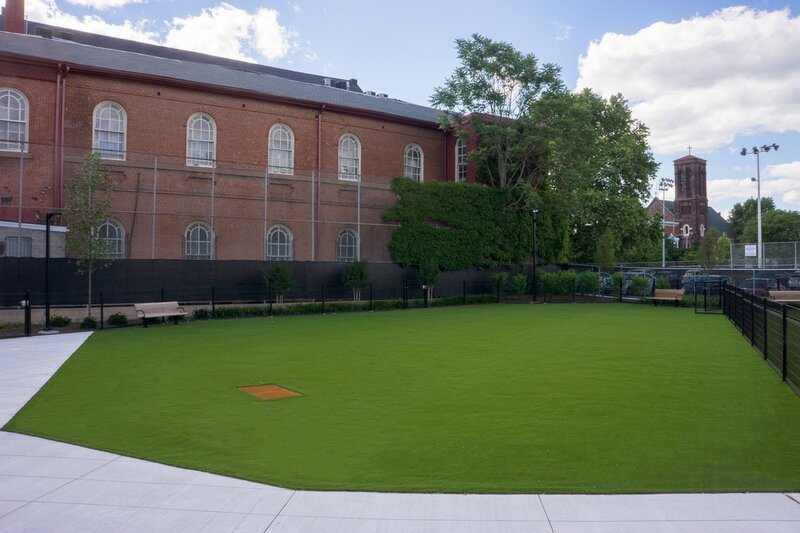 Amenities include a state of the art drainage facility featuring an anti-microbial green turf designed specifically for dogs (K9 Grass), waste bag dispensers, lidded disposal cans, and water for dogs and washing down the site. 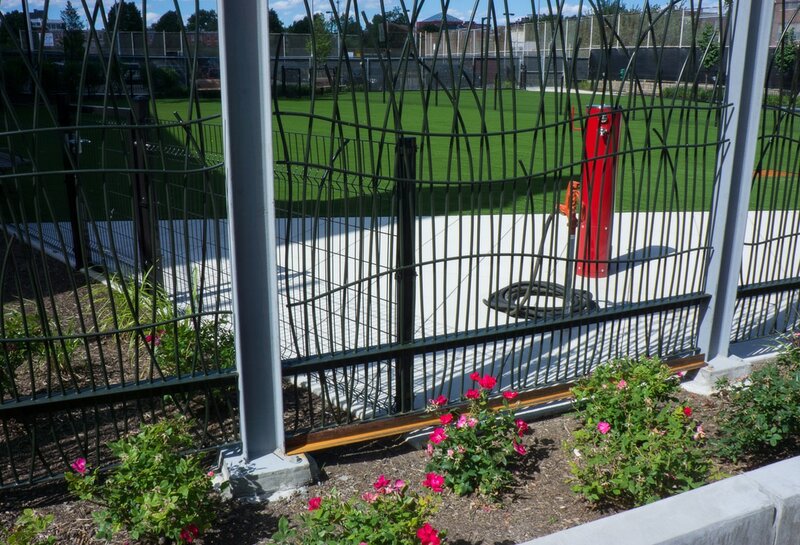 There is an electronically controlled entry system, and security cameras with 24 hour real-time and recorded video coverage. The perimeter of the Park is equipped with ample lighting, benches, and beautiful landscaping with native species of trees and bushes. 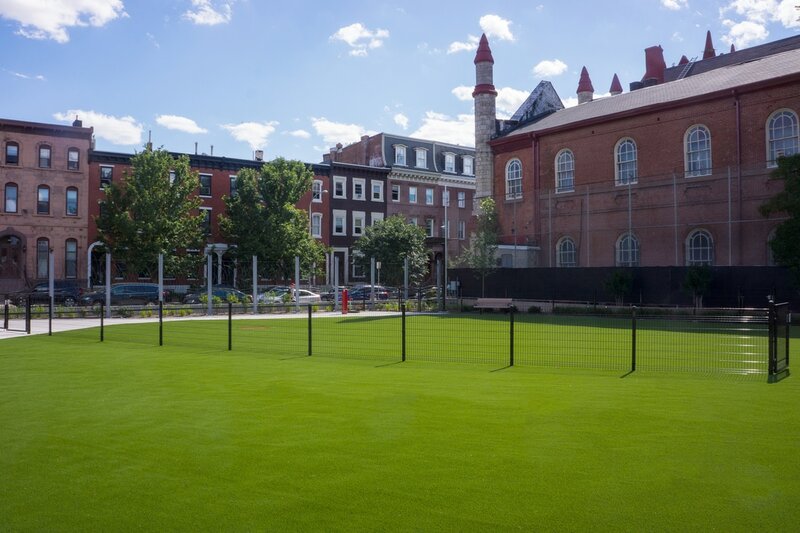 The Park has transformed a long-abandoned, blighted vacant lot on the 1800 block of Green Street into a community destination. 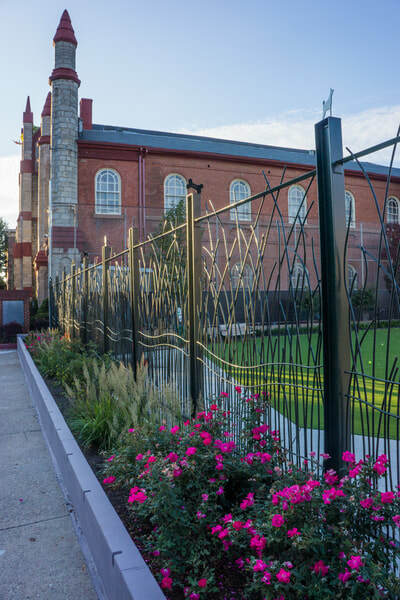 Planning and construction took place over a 4+ year period, and involved considerable effort to create a safe, beautiful space to serve the needs of residents and non-residents alike, and dramatically improve both the site and entire surrounding area. Design and maintenance protocols are based on extensive research and feedback from experts involved with the development of similar facilities, as well as local community members. The Spring Garden neighborhood is located between Spring Garden Street and Fairmount Avenue, and between Broad Street and Pennsylvania Avenue/Fairmount Park. 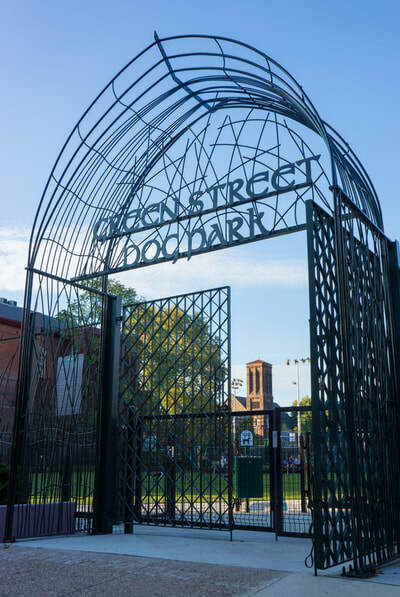 The area was the City's original Victorian neighborhood and was first developed for homes for the newly emerging class of well-to-do industrialists in the mid-to-late 19th century. 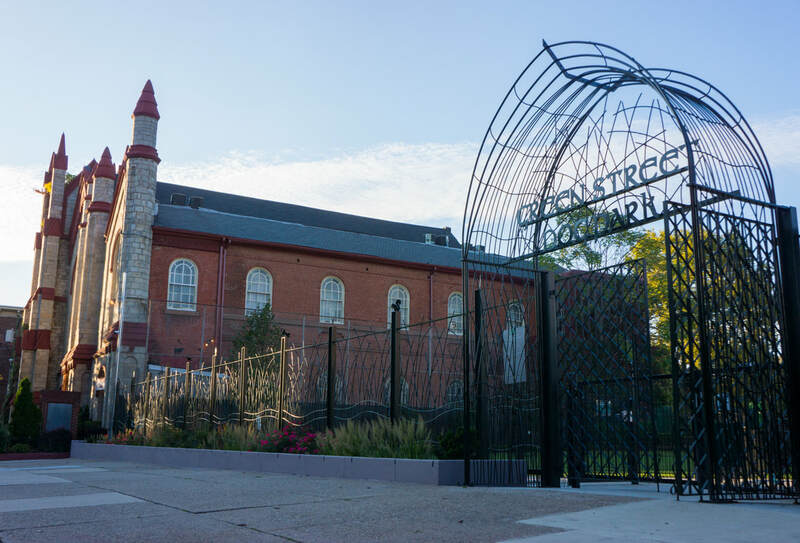 Virtually the entire neighborhood has been designated as a City of Philadelphia Historic District.